Usha Akella (IN) has authored four books of poetry and scripted and produced one musical. She joined a group of poets to read at the House of Lords, UK in June 2016. She has been invited to many international poetry festivals. She was selected as a Creative Ambassador for Austin in 2015-16. She organized the first South Asian Poetry Festival, 'Matwaala' in the US. She is the founder of the Poetry Caravan, an organization that offers poetry readings to disadvantaged audience in senior homes, women shelters and hospitals. She also writes travel articles, whimsical prose and interviews writers and scholars. Kacper Bartczak (PL), born in Łodź, is a poet, poetry translator, literary critic and scholar of American literature. He is the author of In Search of Communication and Community: the Poetry of John Ashbery (Peter Lang, 2006) and Świat nie scalony (Biuro Litreackie 2009), a collection of literary-critical essays for which he received the annual prize of the magazine “Literatura na Świecie” in 2010. He is the author of five volumes of poetry in Polish. His latest volume, Wiersze organiczne (Dom Literatury Łódź, 2015) was nominated to two major Polish literary awards in 2016, the Silesius and Gdynia awards. As a scholar, he has been a Fulbright Fellow at Stanford and Princeton universities; he has also been a Kosciuszko Foundation Fellow at Florida Atlantic University. As a poetry translator he has translated poems by John Ashbery, Rae Armantrout, and Peter Gizzi. A collection of Peter Gizzi’s poems in his translation, in collaboration with Andrzej Sosnowski, came out in 2013. He has cooperated with the magazines “Literatura na Świecie” and “Arterie” in Poland. His poems have been translated into English and published, among other venues, by the Internet magazine “Jacket2”. He is Head of the Department of American Literature at the University of Łódź. He lives in Łódź. Claudine Bertrand (CA) is a Quebec educator, journalist and poet. Born in Montreal, she studied at the University of Québec in Montréal, where she received her Master's degree in literary studies. C. Bertrand taught literature at college level from 1973. She contributed to a number of magazines, including Montréal now!, La Nouvelle Barre du jour, Les Écrits, Hobo- Québec, Possibles, Rampike, Moebius, Estuaire, Écritures, Tessera, Bacchanales and Acte Sud. In 1981, she founded the magazine Arcade, later recognized for its contributions to cultural exchange between Quebec and France. 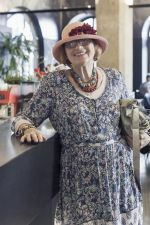 She created the Prix de la relève Arcade in 1991. She also contributed to the French literary magazines Le Jardin d'Essai, Travers and Pourtours. In 1996, she was a finalist for the Grand Prix du Conseil des Arts de la Communauté urbaine de Montréal for her contributions to the Montreal cultural scene. In 1997, she received the Prix Femme de mérite, in the arts and culture section. In 2010, she was awarded the Grand Prix international des poètes francophones for her collected work. In the year of 2001, she received the international Prize Tristan Tzara for her poetry book Le corps en tête (2001). She is the author of many poetry collections among which are Idole errante (1983), Memory (1985), Fiction-nuit (1987), La Passion au féminin (1994), Une main contre le délire (1995), finalist for the Grand Prix du festival international de poésie, L'Amoureuse intérieure, suivi de La montagne sacrée (1997), received the Prix de la Société des écrivains canadiens and the Prix de la Renaissance française, La Dernière Femme (2000), translated into English and Czech, Pierres sauvages (2005), the anthology La rouge assoiffée (poems, selected 1983-2010) among others. Irène Gayraud (FR) Born in Sète (France), is a poet, writer and academic. She writes poetry, poetical-extremely-short-fictions, and currently a novel. She published a poetry book : à distance de souffle, l’air (Éditions du Petit Pois, 2014); two other books are to be published : Voltes (Al Manar, 2016), and plus loin tranche une lame (Éditions du Petit Pois, 2016). She translates from Italian, Spanish and German into French : she collaborated with Christophe Mileschi to translate the Dino Campana’s poetical work (Dino Campana, Chants Orphiques et autres poèmes, Paris, Éditions du Seuil, coll. “Points Poésie”, 2016). Besides, she teaches comparative literature at the university of Amiens, and holds a doctorate in comparative literature (PhD) from Paris IV-Sorbonne. Since 2008 her poems have been regularly published in the poetry magazines in France (À verse, Place de la Sorbonne, Verso, Sarrazine, AKA, Mange Monde, La Traductière…) and abroad, in the poetry magazines Metrópolis and Mula Blanca (Mexico), Lapsus (Quebec), in the anthology Zeitkunst (Germany) and in the booklet of the exhibition Zufallstreffer in Berlin (February 2012). Irène Gayraud has also been studying music. That interest in music influenced her to explore and experience, through her writings, the relationship between music and poetry, which led her to collaborate with the composers Luis Codera Puzo, Helena Winkelman, Raphaël Lucas and Fernando Munizaga as a poet and an orator. She took part in the festival Zeitkunst («Radialsystem» in Berlin, «Centre Pompidou» in Paris, Novembre 2011) that builds dialogue between contemporary music and poetry. Kaja Puto (PL) journalist, editor, publisher, activist. Her main areas of interest include Eastern Europe, Southern Caucasus, Polish-German relations, migration and European issues. At the Korporacja Ha!art publishing house she works as vice-president, fundraiser and editor-in-chief of the ”Czyli nigdzie” [That is to say, nowhere] book series. Piotr Marecki (PL) assistant professor at the Jagiellonian University in Kraków and lecturer at the Film School in Łódź. 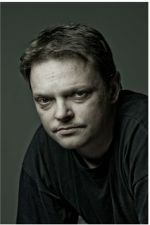 Since 1999 he has been the president and editor-in- chief of the Korporacja Ha!art publishing house, which he co-founded. Haugová Mila (SK) is one of the most prominent, translated and prolific Slovak poets. She authored more than twenty books. Haugová was born in Budapest and spent her childhood in Nitra, Topoľčianky, and Zajačia Dolina (Slovakia), close to the city of Levice. She graduated at the Faculty of Agronomy at the College of Agriculture (today’s Slovak University of Agriculture) in Nitra. She worked as agronomist and later as secondary-school teacher. Between 1986 – 1996, Haugová was an editor of the Romboid literary magazine. She lives and writes in Dúbravka (a borough of Bratislava) and in Zajačia Dolina. She debuted with a collection Hrdzavá hlina (Rusty Soil) under the artistic name Mila Srnková. Ars Poetica published several of her poetry books inclucing Plant Room and Biele rukopisy (White Manuscripts), with her most recent collection Srna pozerajúca na polárku (Roe Looking at The Polestar) due to be published later this year. Daniel Hevier (SK) is an almost universal writer: he writes poetry, prose, essays, lyrics and scripts. He is also a dramatist and translator and editor of many anthologies. However, his extensive work bears the mark of top artistic quality, originality of form and appeal to readers. Hevier the miraculous child, by no means enfant terrible, started to write poetry that was playful, light, and rich with metaphors and humour. This was something new during the Seventies, when his first books were published (Butterfly Merry-go-round, In the Garden with My Father, Bird Drinking from the Track). His books from the early Eighties, Non-stop, Electronic Clown, and A Man Seeking the Sea, expressed the spirit of a generation that rejected the ideological clicháland pseudo-poetical ballast of the past, a generation that was enchanted by town life rather than the village and perceived the world with all its smells, tastes and darker aspects of reality. According to critics Hevier was the most remarkable talent in young Slovak poetry. After writing lyrical poems for adult readers he came with original poetry for children. Even his first works show characteristics that would later become typical for all his children`s books: playful lyricism, subdued comicality, masterful use of words, conciseness of expression in both prosaic and poetic forms. The playfulness of Hevier`s poetry has very much in common with children`s playfulness. However, his books for children are well composed and the author always works with an illustrator and typographer. He himself illustrated some of his latest books. Hevier`s texts for children are usually set in reality and shaped by his imagination. 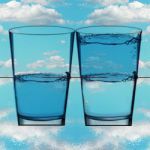 After several years spent in the publishing business Hevier made his comeback to poetry in the collection entitled Poems from the Advertising Campaign for the End of the World and also in the collection of song lyrics A Rusty-haired Girl. Kristina Hočevar (SI) is a poet and graduate of Slovene Language and General Linguistics at the Ljubljana Faculty of Arts. She has written five books of poetry: V pliš (Into Plush, Cankarjeva založba 2004), Fizični rob (The Physical Edge, Cankarjeva založba 2007), Repki (Litlle Tails, Škuc 2008), Nihaji (Oscillations, Cankarjeva založba 2009) and Na zobeh aluminij, na ustnicah kreda (Aluminium on Teeth, Chalk on Lips, Škuc 2012). Tails received the Golden Bird Award and Hočevar was nominated for the Veronika Award. Aluminium on Teeth, Chalk on Lips won the Jenko Prize awarded by the Slovene Writers’ Association. Her poetry has been translated into different languages and published in magazines and anthologies abroad. The voice of Hočevar’s poetry is among the most spirited and dynamic on the Slovenian literary scene while also remaining sensitive and socially conscious. Adam Horovitz (UK) is a poet, journalist and editor. He was born in 1971 in London and raised in Slad, Gloucestershire. He has appeared at numerous festivals and venues around Britain since the early 1990s and his work has appeared in a variety of magazines and anthologies, including 1914: Poetry Remembers (Faber, 2014). He has also been the poet in residence for Glastonbury Festival website (2009) and Borkowski PR company's website (2005 to 2007). He has released three pamphlets: Next Year in Jerusalem (2004); The Great Unlearning (2009) and Waiting for the Flame (Yew Tree Press, 2014). His first full collection of poems,Turning, was published by Headland in 2011. He was awarded a Hawthornden Fellowship in 2012. His memoir about growing up in Cider with Rosie country, A Thousand Laurie Lees, was published by the History Press in 2014. He was a judge for the Manchester Poetry Prize and the inaugural Bare Fiction poetry prize in 2014. 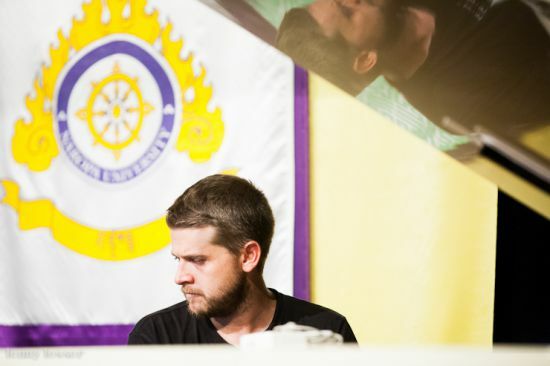 Dirk Hülstrunk (DE) is an internationally renowned sound poet, spoken word poet, writer, creative writing teacher and curator of art/poetry events from Frankfurt/Main, Germany. Influences range from Dada, Surrealists, Fluxus, Beatpoets to Pop and modern electronic sound-poetry. He works with and between different media and frequently collaborates with artists & musicians. 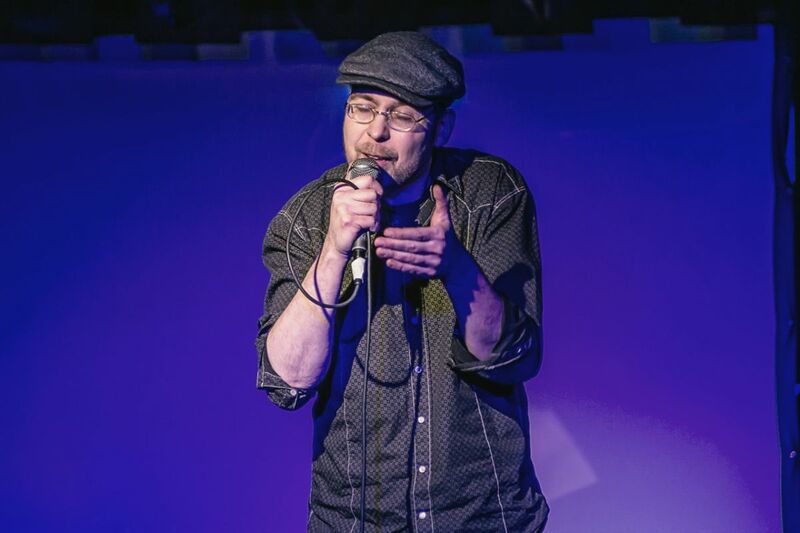 Huelstrunk lectures on sound poetry, spoken word, outsider art and is also one of the pioneers of the Poetry Slam movement in Germany, organizing Poetry Slam and Spoken Word events since 1996. Wer ist Erwin?, gruenrekorder 2004. Manfred Chobot (AT), born in Vienna, lives as a freelance writer. Member of the Austrian writers league „IG AutorInnen“ (member of the board), member of the Austrian authors association „Grazer Autorenversammlung“ (member of the board), member of „Podium“, member of the international authors association „Kogge“. Co-founder of the „1. Wiener Lesetheater und 2. Wiener Stegreiftheater“ (First Vienna Theatre of reading performances). Editor of the series of books „Lyrik aus Österreich“ (Poetry from Austria). Approximately 50 radio plays for various broadcasting stations. Participant e.g. : „XII. International Poetry Festival of Medellin”, Colombia 2002; „XIII Festival Internacional de Poesía”, Rosario/Argentina 2005; 3rd Festival Internacional de Poesía de Granada, Nicaragua 2007; 1. Festival International de Poesía, Lima/Peru 2012. Books: eleven volumes of Poetry in German; twenty four volumes of Prose; two novels, two volumes of photo books, and two books for children. Books of Poetry in English, French, Spanish, Slovak, Czech, Polish, Bulgarian, and Bangla (with Aminur Rahman). Books of Prose in Ukrainian, and Polish. 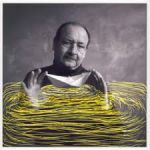 Richard Kitta (SK) is a multimedia artist, poet, publisher, culture activist and university teacher. 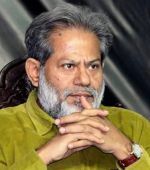 He is an author of 2 poetry books – The Land of Secret Amphibians – poems in p(r)ose (Vienala, 2004) and Invention of the Rainbow (VSSS, 2006). Nowadays, he is mainly interested in creating of interactive objects, screenings and environments as well as visual poetry. 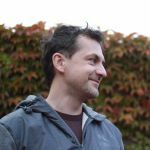 Since 2012 he runs the continuous visual poetry open project – New Poetry Forms. Since 2009 he is editor-in-chief of ENTER art magazine. 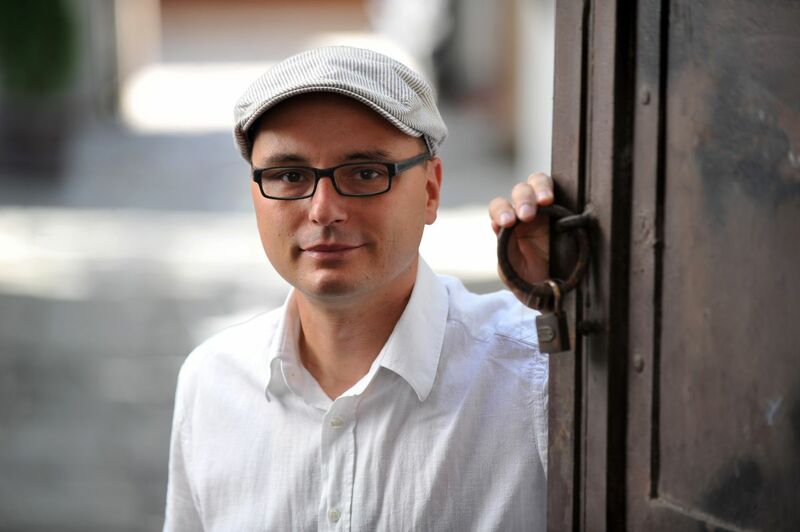 In 2010 he co-founded with representatives of literary initiatives – European House of Poetry Košice (EdpK). He is also artistic director of DIG gallery for contemporary media arts which is the first of its kind in Slovakia. As a teacher, he works in the New Media Studio at Faculty of Arts TU Košice. Sukrita Paul Kumar (IN), born and brought up in Kenya, is a poet, translator and critic. She holds the Aruna Asaf Ali Chair at Cluster Innovation Centre, Delhi University. Formerly, a Fellow of the Indian Institute of Advanced Study, Shimla, she is an Honorary Fellow of the International Writing Programme, University of Iowa (USA), as also of Hong Kong Baptist University and Cambridge Seminars. Honorary faculty at Lawrence Durrell Centre at Corfu (Greece), she has been a recipient of many fellowships and residencies. Her books of poems include Dream Catcher, Poems Come Home (with translations by Gulzar) and Without Margins and Folds of Silence. Amongst others, Sukrita’s critical works are Narrating Partition and The New Story. Her edited/co-edited books include Speaking for Herself: Asian Women’s Writings (Penguin) and many others. Her poems have been translated into many languages. She is also an artist who has held a solo exhibition of her paintings. Giorgi Lobžanidze (GE) is a Georgian poet and translator. He was born in Georgian town of Khashuri. 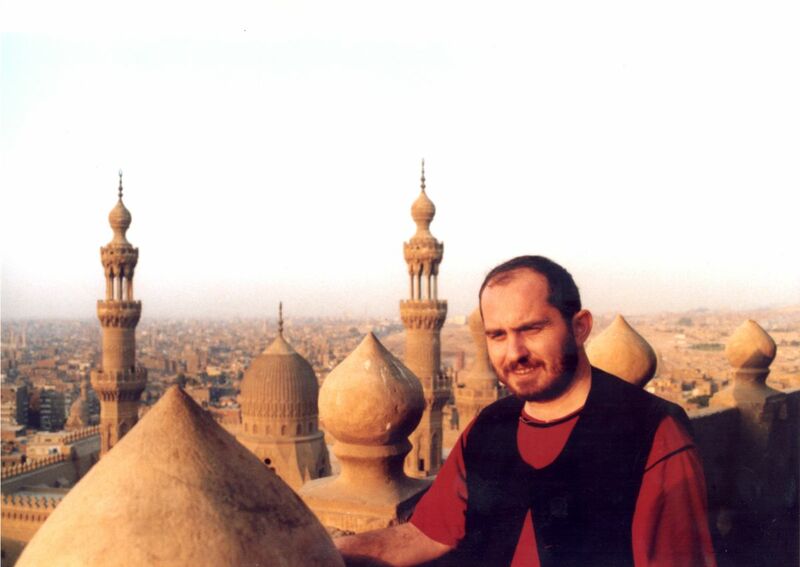 He graduated from the Faculty of Oriental Studies at The University of Tbilisi and his PhD research on the history of religion and mysticism was conducted at the Faculty of Theology of the University of Tehran where he successfully obtained PhD for his work exploring the portrayal of Jesus and Mary in Koran. Up to date he has published four books of poetry: Orphan’s Pie (1991), Boiling Point (1996), Bucket of Dandelions (2004) and Arabic Teacher (2014). He has translated a number of works of classic Arabic and Persian authors in Georgian language and in 2007, he was awarded Irani Book of the Year prize for the best translation of Koran. He lectures Arabic language and literature at the University of Tbilisi and is the director of the Centre of Studies of Arabic Culture, which is a department of Caucasian House in Tbilisi and he is also one of the editors of literary magazine APRA-17. Vladimir Martinovski (MK) is poet, prose writer, essay writer, literary critic and translator. He works as an Associate professor, teaching the subject of Comparative Poetics at the Department of General and Comparative Literature, Faculty of Philology “Blazhe Koneski”, Sts Cyril and Methodius University, Skopje. He completed his PhD at University Paris III – Sorbonne Nouvelle at 2007. He was the President of the Association of Comparative Literature of Macedonia (2009-2013). He is member of the Executive Board of the International Association for Semiotic Studies. Furthermore, he is a member of the International Comparative Literature Association and Executive Board member of the European Network for Comparative Literary Studies. He is Secretary of the Macedonian PEN Centre and member of Macedonian Writers Association. He authored 7 poetry books: Sea Moon (2003), Hidden Poems (2005), And Water and Earth and Fire and Air (2006), Quartets (2010), Hurry up and Wait! (2011), Before and after the Dance (2012) and Real Water (poetry, 2014), 2 books of selected poetry, as well as 7 books of literary studies and essays. His literary works are translated into several languages. He was participant of international poetry and prose festivals in: Macedonia, Bulgaria, Greece, Serbia, Slovenia, Croatia, Czech Republic, China, Austria, Italy, Germany, Romania, Montenegro and France. Vladimir Martinovski is recipient of the following literary awards: First Prize at the Short Story Competition of “Nova Makedonija” (2009), Brother’s Miladinovci Award (awarded by the International Festival Struga Poetry Evenings, 2010), Dimitar Mitrev Award for literary criticism (awarded by the Macedonian Writers Association, 2013) and Knight of the written word Prize (2014). Sonnet Mondal (IN) is the founder and editor in chief of The Enchanting Verses Literary Review. He has authored eight books of poetry and has read at Struga Poetry Evenings, Macedonia, 2014, Uskudar International Poetry Festival, Istanbul, 2015 and the International Poetry Festival of Granada, Nicaragua, 2016. He has been a featured writer at the International Writing Program, University of IOWA-Silk Routes Project and his latest works have appeared in The Mcneese Review (Mcneese State University), Sheepshead Review (University of Wisconsin, Green Bay), Common Ground Review (Western New England University), The Penguin Review (Youngstown State University), Clackamas Literary Review (Clackamas Community College, Oregon), Two Thirds North (Stockholm University) and Sanskrit magazine (University of North Carolina). On March 2016, his poems in Slovenian translation were aired at the Literary Nokturno program of the Public Radio & Television of Slovenia. His poetry has been translated into Hindi, Italian, Spanish, Slovenian, Chinese, Turkish, Macedonian, Bengali and Arabic. José Luís Peixoto (PT) was born in the region of Alentejo (Portugal). Has studied Literature at Universidade Nova de Lisboa. His first novel won the Jose Saramago Literary Award. His poetry collections were awarded by the Portuguese Authors Society for the best poetry book published in Portugal and the Daniel Faria Poetry Award. His novels received the Calamo Award (Spain), Libro d'Europa (Italy) and were shortlisted in the Femina Award (France), Impac Dublin (Ireland), etc. Peixoto's work has appeared in a great number of anthologies in many languages. His novels were published in twenty languages. Eleanor Rees (UK) was born in Birkenhead, Merseyside. Her pamphlet collection Feeding Fire (Spout, 2001) received an Eric Gregory Award in 2002 and her first full length collection Andraste’s Hair (Salt, 2007) was shortlisted for the Forward Prize for Best First Collection and the Glen Dimplex New Writers Award. Her second collection is Eliza and the Bear (Salt, 2009). Eleanor works in the community as a freelance poet. 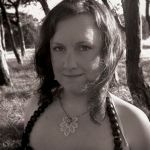 In 2014 she submitted her PhD Making Connections: The Work of the Local Poet at the University of Exeter. 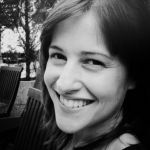 Eleanor specialises in collaborative, commissioned and participatory poetic practice. She lives in Liverpool. Ivica Ruttkayová (SK) radio publicist, poet writer, dramatist – Since 1989 she works as an editor at radio channels specializing on culture and art, mainly for Radio Devin. She holds a number of awards for excellence in journalism and also is a member of Slovak PEN Centre. Her debut was Anjeličkárka – Komentáre (The Midwife – Comments, 2002). Her second piece Marylin miluje literatúru (Marylin Loves Literature) was published in 2007. She has written some radio plays like Dievča na telefón (Phone Girl, 2005) a Dekády (Decades, 2007). Her collection of poems Hadia žena (Snake Woman, 2012) was awarded with 2012 Slovak Literary Fund Award for Original Works. Her texts are included in a number of anthologies: Plášt bohyne – Výber z poetickej tvorby slovenských autoriek z Maďarska, Rumunska, Slovenska a Srbska (Goddess’ Gown: The best of Slovak authors from Hungary, Romania, Slovakia and Serbia, 2012), Antológia slovenskej ženskej prózy v hindskom jazyku (Anthology of Slovak Female Authors’ Proses in Hindi, 2014). Studienky – Antológia poviedok slovenských autoriek z materskej krajiny a Dolnej zeme (The Wells – Anthology of Slovak Female Authors from the Motherlands and Lowlands, 2014). Her latest collection of poems Water signs 2 was published in 2015, illustrated by Ingrid Zamecnikova. Subodh Sarkar (IN) India´s National Sahitya Academy Award winner, 2013. Associate Professor in English, City College, Calcutta University. Participated in International Seminars and readings in France, Greece, USA, Taiwan, Canada and India. Edited and guest-edited “Indian Literature”, Sahitya Academy`s flagship journal. He has published 29 books in Bengali and 4 books in English in 35 years. Recipient of Bangabhushan from the Govt. of West Bengal D.Lit (Honoris Causa) from G.B.University, W. Bengal Gangadhar Meher National Award from Sambalpur University 2016. Chairman: Kobita Academy (Poetry Academy), Government of West Bengal. Currently Visiting Professor of English, University of Iowa on Fulbright Fellowship. A participating author at IWP, Fall Residency, UI, 2016. Vytautas Stankus (LT) is a poet and translator who lives in Vilnius. 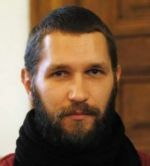 Vytautas has studied English Philology at the Lithuanian Pedagogical University. He began publishing poems in the literary press in 2007. His first poetry collection, Walking on the Other Side of Ice (Vaikščiojimas kita ledo puse), 2009 won the Zigmas Gaidamavičius-Gėlė Prize for the best poetry debut. Literature critics suggest Vytautas is one of the most promising Lithuanian poets. His second poetry book Iš veidrodžio, už (From the Mirror, Behind) was published in 2014. The book was chosen by a professional Commission to Five best poetry books of 2014 in Book of the Year Campaign. In February 2015 Vytautas' book From the Mirror, Behind became a poetry book of the year 2014 in Lithuania. Jaromír Typlt (CZ), poet, performer, essayist, and art theorist specializing in art brut. His first appeared on the Czech literary scene in the 1990s with poetry that was influenced by a surrealist understanding of the imagination (Lost Inferno, 1994), and with short prose works in which he brought to life the unique spiritual atmosphere of his native region (Movable Thresholds of Temples, 1991; Opposite to Overthrow, 1996). He received the Jiří Orten Award in 1994. Since 2009, Typlt has regularly collaborated with composer Michal Rataj to create improvised audio-text experiments as part of their joint project entitled Škrábanice/Scribbles (an eponymous CD was released in 2014). In terms of collaboration with visual artists, his work with graphic artist Jan Měřička has been of fundamental importance, resulting in numerous unique artists’ books (e.g., Braincreasers, 2000). Working with photographer Viktor Kopasz, he created the bibliophile work Captivity (2001) and a short film in the form of a 3D poem (Vineyard, 2012). Typlt is also the author of audiobooks and short radiophonic compositions (Bark, 2006). He likes to work with the voice during live performances and is also engaged in printmaking and photography. He has applied his long-standing theoretical interest in seemingly marginal areas of literature and art in the discovery of several art brut poets and artists, of whom the “Weather-Maker” Zdeněk Košek has gained significant international renown. In 2013, Typlt published an extensive monograph on the unjustly overlooked Czech avant-garde sculptor Ladislav Zívr. In autumn 2016, he realesed a new collection of poems entitled For a Long Time. 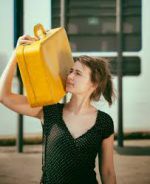 Maud Vanhauwaert (BE) is a writer and text-on-stage performer. In 2011 her first poetry album was published by Querido (Amsterdam), called Ik ben mogelijk ('I am possible'). It was awarded the Vrouw Debuut Prijs (Price for female débuts). In 2014, Wij zijn evenwijdig ('We are parallels') was published, a book you can read as a poetry album, as a meandering story, or as a compilation of sad jokes. Maud examines creative ways to bring poetry on stage. She performed in different countries, won the 'Frappant TXT' competition (2012) and became finalist in the World Championship of Poetry Slam (2012) and in the prestigious 'Leids Cabaret Festival' (2014). 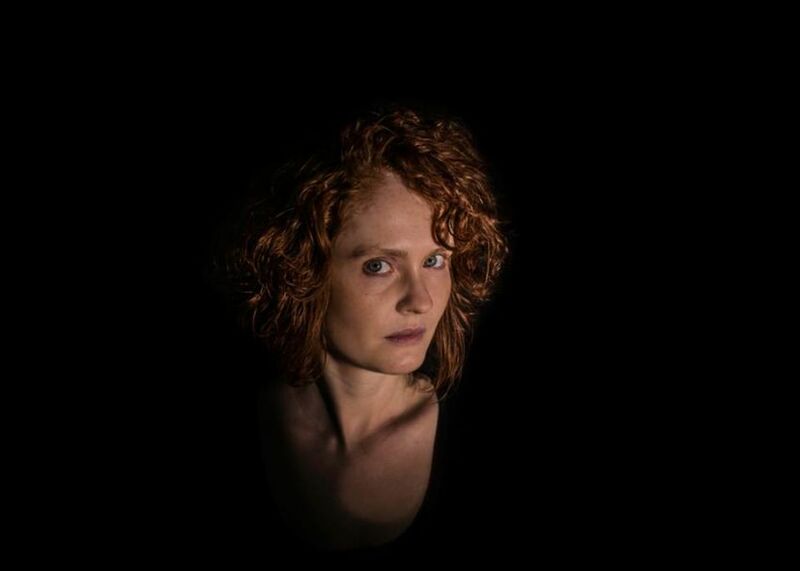 Maud obtained a master degree in Literature and Linguistics at the University of Antwerp and also a master degree in the Theatre Academy of Antwerp, where she currently teaches. 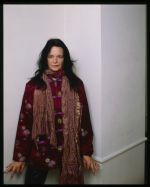 Anne Waldman (USA) is a poet, performer, professor, editor and cultural activist. She is the author of over forty books of poetry, including the book-length hybrid narrative poem Manatee/Humanity (Penguin Poets 2009), and the feminist epic The Iovis Trilogy: Colors in the Mechanism of Concealment (Coffee House 2011) which is the winner of the 2012 PEN Center USA Award for Poetry. Other recent books include the forthcoming Voice’s Daughter of a Heart Yet to Be Born (Coffee House Press 2016), Jaguar Harmonics (Post-Apollo Press 2014), Gossamurmur, (Penguin Poets 2013) and Cross Worlds: Transcultural Poetics (Coffee House 2014), co-edited with Laura Wright. Waldman is the recipient of the Shelley Memorial Award, a Guggenheim Fellowship (2013-14) and is a Chancellor of The Academy of American Poets. She has recently received a long-life achievement award by the Before Columbus Foundation (2015). She has collaborated with numerous visual artists, including Elizabeth Murray, George Schneeman, Richard Tuttle, Donna Dennis, Pamela Lawton, and Pat Steir. Waldman has also worked on recent projects with Meredith Monk, Douglas Dunn, musicians Thurston Moore and Ha-Yang Kim. She founded the poetry and music recording label and music consort: Fast Speaking Music with musicians Ambrose Bye and Devin Brahja Waldman, with whom she also collaborates. Recent CDS include Comes Through in the Call Hold, and Jaguar Harmonics. Publishers Weekly has deemed Waldman “a counter cultural giant”. She is a founder and the Artistic Director of Naropa University’s Jack Kerouac School of Disembodied Poetics celebrated Summer Writing Program. Ambrose Bye (USA) is a musician, engineer, and producer living in New York City. He is a co-founder of Fast Speaking Music with Anne Waldman. Recent albums and projects include: Comes Through In The Call Hold, Oasis at Biskra, Harry’s House Vol. 1+2+3, Jaguar Harmonics, Tiny People Having Meeting, and with Heroes are Gang Leaders: The Avant-Age Garde I Ams of the Gal Luxury and Highest Engines Near/Near Higher Engineers and the upcoming album Flukum. He recently has worked and performed at Masnaa and the Ecole de la Literature in Casablanca, Le Maison de Poesie in Paris, the fieEstival Maelstrom in Brussels, the Henry Miller Library in Big Sur, Pathway to Paris at Montreal POP 2015, and Casa Del Lago in Mexico City. He has been involved in the recording studio and workshops at the Summer Writing Program at Naropa University since 2009. Banda (SK) is a Slovak World Music band since 2003, which loves ethnic music, but in a modern arrangement. The band is mainly inspired by Slovak folk music, but combines it with a number of genres such as blues, jazz, beat, pop and old music as well as with a number of traditional tunes from the Balkans, but as well Celtic, Slavic, African and of course, Latin America. 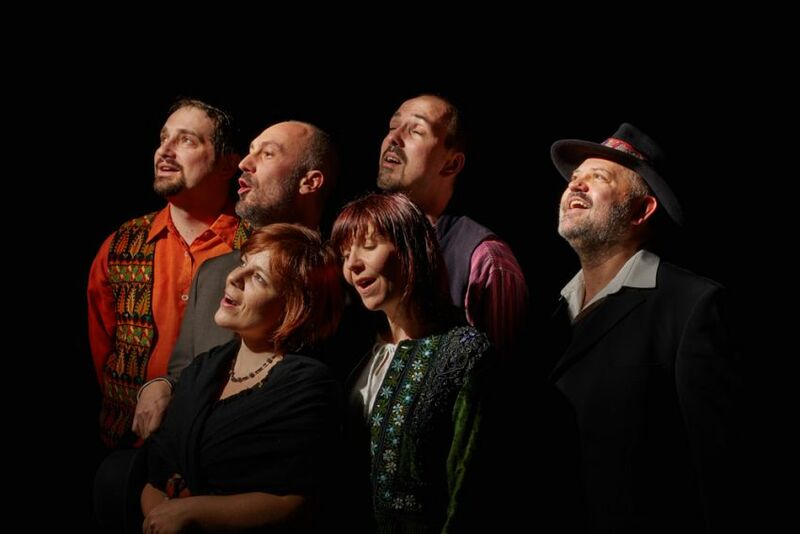 They do not hesitate to combine mainly Slovak folk songs and melodies with some Polish, Spanish, Moravian, Rossinian, Ukrainian and Roma songs, not forgetting their own arrangements and all of these are carefully and brightly arranged in order to provide an original experience for the audience. Banda’s performances are well known for a number of musical instruments that are used by the band members: Just to name some, you are likely to see and hear a cymbal, viola, violin, contrabass, helicon, mandolin, buziki and the drums, not forgetting a number of percussions plus sample acoustic instruments including a keyboard. You will see them using the richness of the vocals, but paying all the respect to all the traditions and local specificities at the same time. Nonetheless, in a modern, very original version. Romanika (SK), The band Romanika keeps amazing the audience with a unique fusion of ethno music from all around the World (Cante Jondo – Andalusian folk songs, Tango Argentino, Fado – Portuguese folk music, Tuvan throat singing tradition, traditional Gypsy music, Latin-American influences…) creating and perfecting a proper new music genre “ethno-chanson”. Romanika’s songs are not exactly sweet and tuneful such as made up stories, in contrary, these are a combination of the reality in a dark street and craziness of the dreaming of those who are sick of lying to themselves. Sangeeta Majumder (IN) is an internationally renowned Indian ‘Kathak’ dancer and the founder of the Strings N Steps music and dance festival. 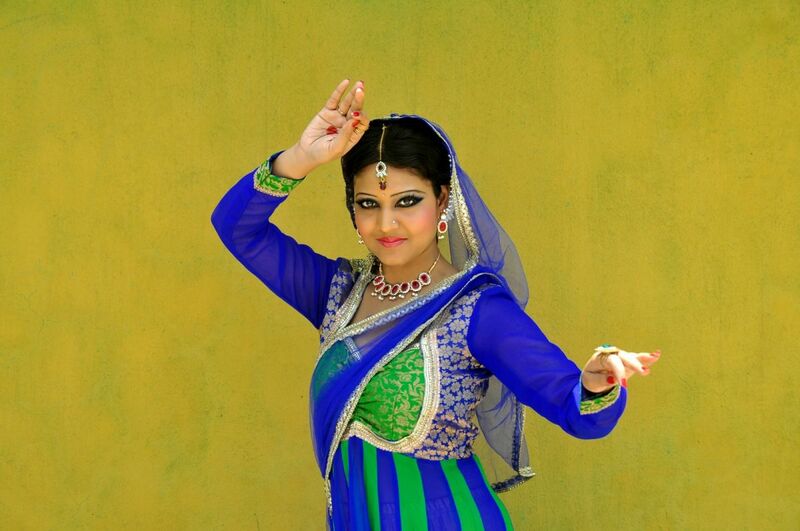 In 2013 Sangeeta was awarded the prestigious Uttar Pradesh Sangeet Natak Academy Yuva Puraskar and was awarded with ‘Roll of Honour’ from Punjabi University in 2015. She has performed and conducted workshops all over India and abroad including Dubai, Sharjah (UAE), Nepal, Bangladesh, Argentina and Uruguay. In 2015, she performed extensively in Argentina and Uruguay as a cultural ambassador on behalf of the Indian Embassy in Argentina (Ministry of External Affairs, India). She also presented a talk (seminar) on Indian Classical Dance in CARI – Argentine Council for International Relations in July, 2015. She has performed several times for the Indian National Television – Doordarshan, All India Radio and has been featured in leading national newspapers including Hindustan Times, The Telegraph, The Statesman, Indian Express and others. Jana Tereková (SK) is a dancer and performer interested in connecting dance motion to other art genres, especially poetry. In addition to her own experiments created within the bees-R association and her own site-specific projects, she has collaborated on various dancing and theatre dance projects with such choreographers as Davide Sportelli, Milan Kozánek, Petra Fornayová, Jozef Vlk, Stanislava Vlčeková and others, whose choreographies she presented around Europe. She is also active as a teacher of contemporary dance at a number of dance schools in Paris. She was awarded a French diplôme d'Etat - professeur de danse contemporain. Zdeno Hlinka (SK) is both a software developer and digital artist. One of his long term activities is that he has been developing a program for creating visuals in live context. Nowadays, he mainly focuses on the development of apps that allow users to create visuals online. Although he doesn't perform live as often as before, he is still active in producing digital art that is opened to progressive technology and creative challenges. His visuals consist of a mix of early net.art aesthetics and clear inspiration by the glitch wave of abstract video­art popular in the noise scene. His performances are distinctive for the use of old-school Vjing combined with massive real­time postproduction creating abstract forms and combining a number of techniques. He started his career in digital art as a member of underground movement 'demo scene', which can be understood as digital graffiti. Until these days, He draws his inspiration from the themes typical for demo scene, reinterpreting them into new software generated visuals and presents them at their public happenings known as 'demo parties'. He spent the past seven years working as a developer at ESET in a team that is developing products for OS X. He is currently on paternity leave to spend time with his family and focus on his own projects. Visit his homepage http://www.zd3n.com/ to find out more about Zdeno and his works.